I am blessed to work for a company that provides flu shots for all employees who want them. They also offer shots to family members at a discount. I caught the flu several years ago. It came on really fast while I was at work. By the time I got home I could barely move, and it had me down for a week. Sadly, I know others whose lives were lost at the hands of the flu. Don’t be a victim. 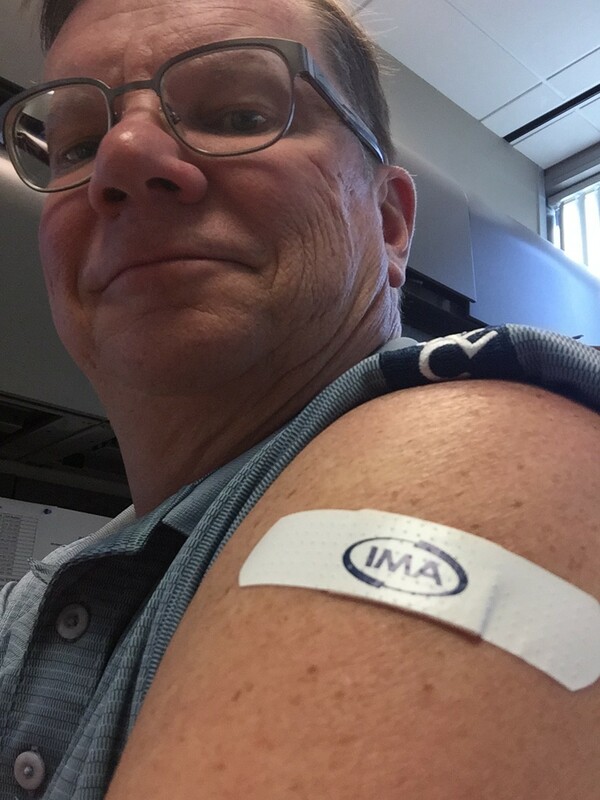 Doctor permitting, get your flu shot, too!